As promised, Ariana Grande's new single "7 rings" has arrived, complete with a new music video. 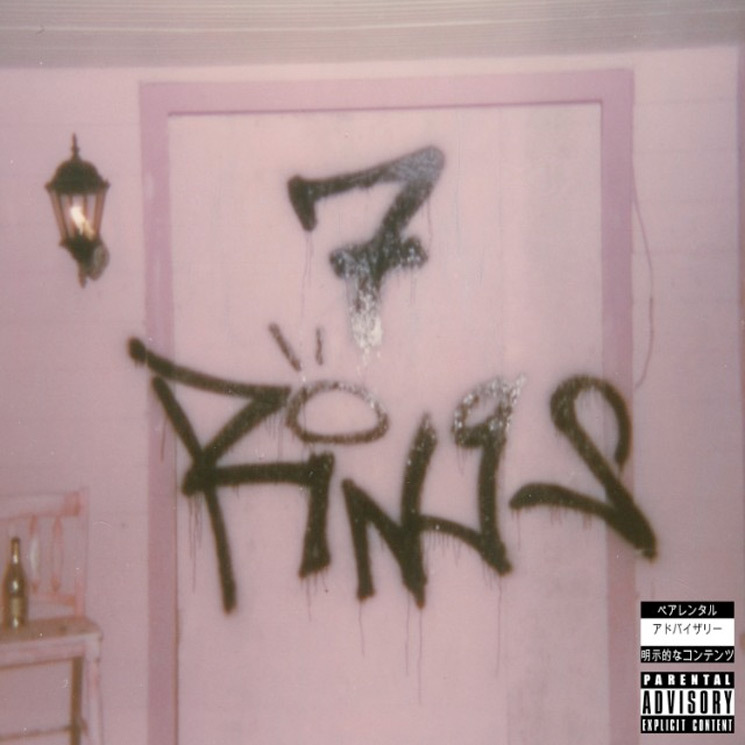 Coming in the wake of "thank u, next," and "imagine," "7 rings" is a therapeutic, to say the least. "Me and my friends went to Tiffany's together, just because we needed some retail therapy. You know how when you're waiting at Tiffany's they give you lots of champagne? They got us very tipsy, so we bought seven engagement rings, and when I got back to the studio I gave everybody a friendship ring." She flashes a diamond ring on her right hand; Monét and Parx are wearing them as well. "That's why we have these, and that's where the song idea came from." See how that plays out — in vibrant colour — in the video for "7 rings" down below. All three of her recent singles will presumably appear on her next album thank u, next, which follows last year's Sweetener.